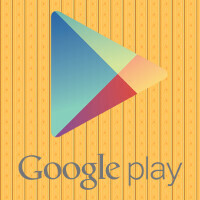 From now through January 4th, the Google Play Store has quite a deal for music lovers. Select an album, any album available from Google, and it will be sold it to you for 50% off the regular price. Want Adele's new album "25"? It's yours for $5.49, half-price. For $6.25, you can own Taylor Swift's "1989." It is as simple as a deal can be. Pick the album you want from the Google Play Store, check out, and the 50% discount is applied. Look, you spend the entire holiday season picking out gifts for others. Why not take advantage of this deal and do something for yourself. Heck, you've earned it, right? So click on the sourcelink, search for that one album you've wanted, make the buy and save 50% in the process. You'll be glad that you did. This deal is available in Australia, Brazil, Canada, Germany, France, Japan, Mexico, Russia, the U.K. and the U.S. You can save some bucks by taking Google up on its largesse, so don't let this deal expire without picking up a new album. After all, Google is picking up half the tab. Nah! I won't get those boring songs even for free. Are you talking about the ones shown where you end up after you arrive there? It's not just those, from what I understood, ANY album is 50% off. I picked up an Eric Clapton album that was $24.99 and got it for $12.99. So if they're letting me get an album that expensive for free, I'd imagine they're all 50% off. Article is not true. Just purchased an album and charged full prices. Pretty posses because I went through thinking the price would be adjusted during checkout. I hit the link to go to the Playstore directly from here and I didn't see nothing either. So I went to the AndroidCentral link from this article and then went to the Playstore from the link listed there and it worked. I should warn you that it's not working in some European countries so there may be some restrictions. I got my 50% off album a few days ago. Used it to buy Aaron Neville's Christmas album so I can listen that co-oh-ho-oh bu-huh-hutt-ahh smooth voice all season long.